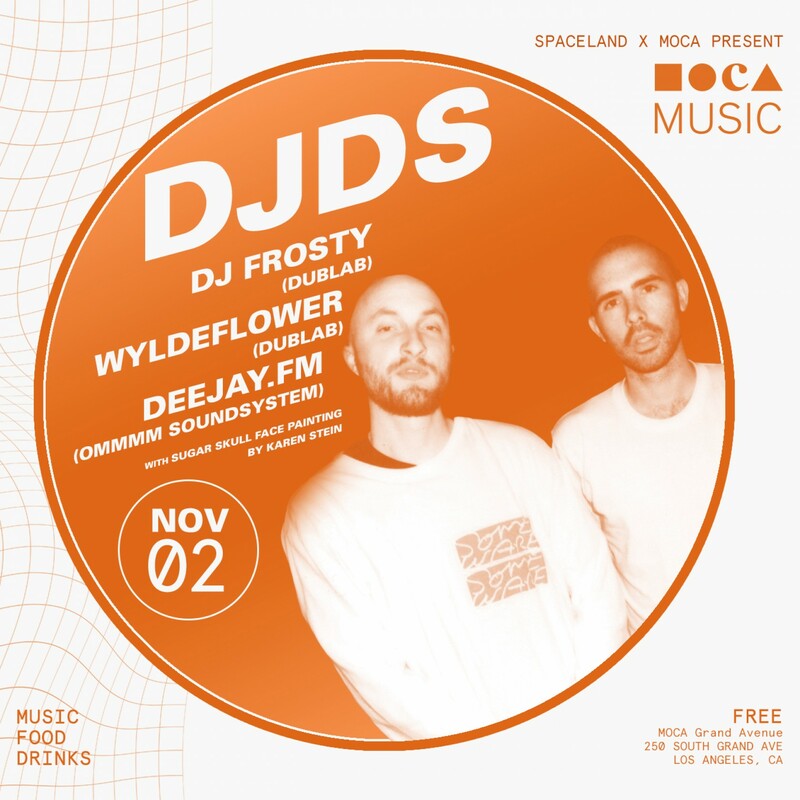 ​MOCA Music's November 2 lineup with Spaceland features DJDS, a Brazilian mix from Dublab's DJ Frosty & WYLDEFLOWER, Deejay.fm, and Sugar Skull face painting by Karen Stein. Alongside the performances will be food trucks, drinks, and regular museum programming at MOCA Grand Avenue. Additionally, check out the MOCA x Poketo pop-up at the MOCA Store, featuring exclusive collaborations and the latest products from the Los Angeles–based lifestyle brand. The MOCA Music series is FREE with RSVP, priority entry for MOCA members. MOCA Music is a free, ongoing series of music at MOCA. MOCA will be collaborating with Spaceland, who is among the most legendary presenters of new and emerging music in L.A., regularly producing events at The Echo, Echoplex, and The Regent Theatre in DTLA.